Spitzer detected spectral signatures of water ice, organics and rock around Eta Corvi -- key ingredients of comets. 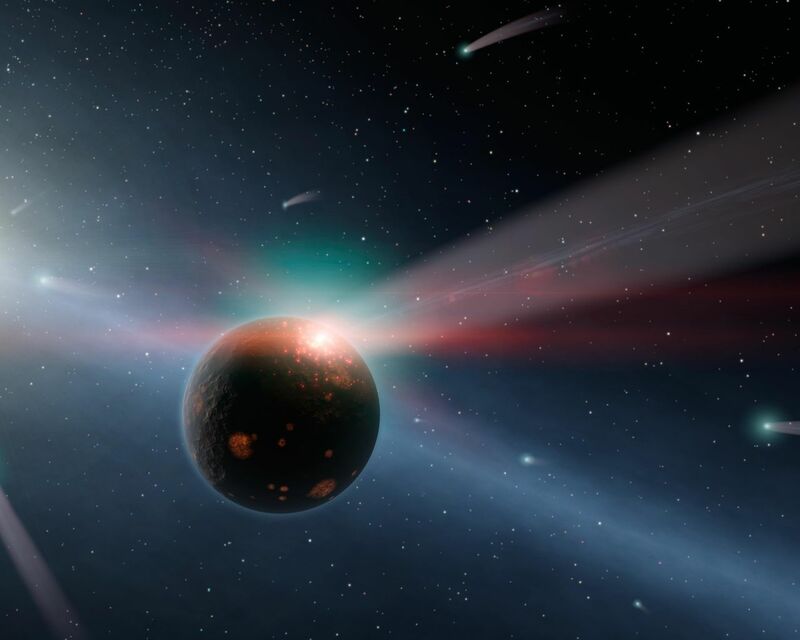 This is the first time that evidence for such a comet storm has been seen around another star. 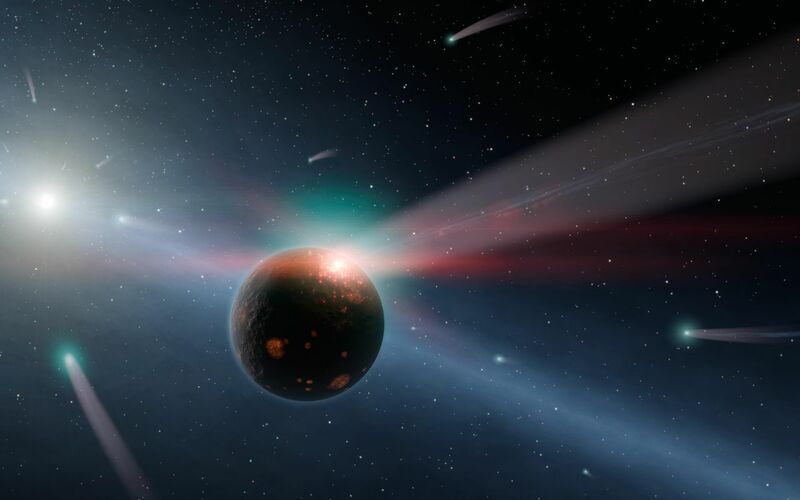 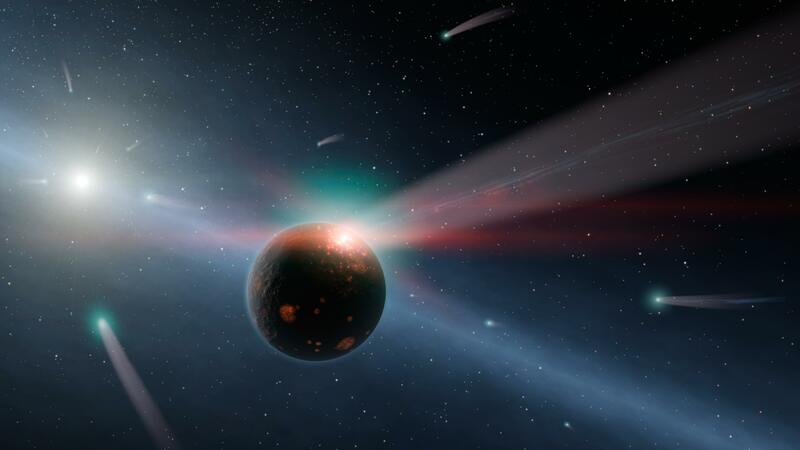 Eta Corvi is just about the right age, about one billion years old, to be experiencing a bombardment of comets akin to what occurred in our own solar system at 600 to 800 millions years of age, termed the Late Heavy Bombardment.